Seldom do Bungalows of this type come on the market. This home demonstrates the true definition of pride of ownership. Meticulously maintained 2 bedroom corner lot home with an amazing south facing extensively landscaped back yard. Enjoy those sunny days on the no maintenance composite deck leading to private, stamped concrete patio. This backyard could be a prize winning contender for best outdoor living space. Bright open concept main floor features 9' ceilings, hardwood floors, recessed fireplace, some newer appliances and corner pantry. These are just some the many features this home has to offer. Basement is fully finished w/ 3rd bedroom, full 4 piece bathroom, large family room extending into rec room or future theatre room. Lots of storage, newer H2O tank(2013), new roof (2016), central vac, wired for sound in several rooms, the list goes on. 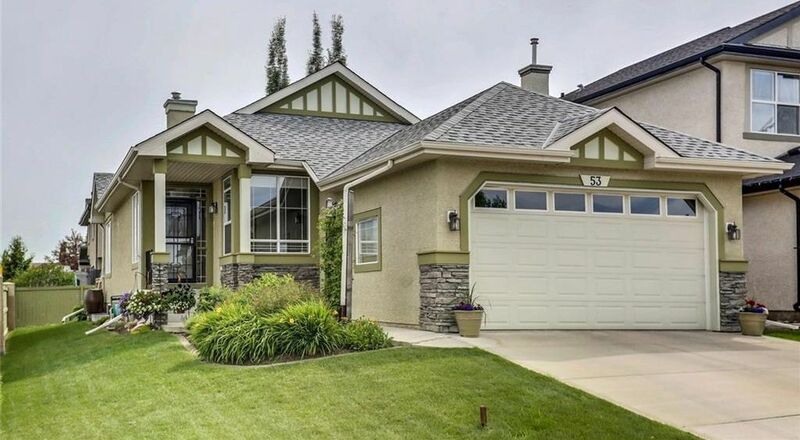 This original owner custom built home won't last long, even in this market!